To say we purchased our house nearly 12 months ago we have really struggled to find the time or energy to redecorate the Living Room. The problem we have is we do most of our entertaining in our big open plan kitchen and the kids use the living room more like a playroom. We hate our uncomfy, old black leather couch but due to having 2 small children who cover it with sticky fingers, glasses of Vimto and bits of jammy toast we don’t want to waste money buying a beautiful fabric one just yet. There have also been several accidents in this room. The square table in the corner did showcase a beautiful indoor palm tree until last month when Harry kicked a ball at it, knocking the pot off the table into 1,0000 pieces across the floor. The pictures on the wall have fallen down after Harry knocked them bouncing on the sofa and not forgetting when Charley poured milk all over the Sky Box. Maybe it’s time for new children instead of a new Living Room ?? The good thing about this room is it’s a blank canvas with no horrendous wallpaper to strip or brightly coloured walls to hide.The paint on the walls is off-white and the room its self is also large and gets lots of sun. I would love to get an interior designer in and let them inspire me with colours and fabrics but until I have a few thousand built up and spare in the bank I will just have to stick to creating a mood board of my dream Living Room. Cox & Cox has long been my go-to interior design website with so many luxurious and inspiring designs your online shopping basket soon start filling up.As soon as we are through the sticky finger stage I will be putting my order in to style my dream Living Room. The room needs to be practical as we are still going to need it as a family space but I dream of having a living room that once the kids are in bed can be used to relax in and I can be proud to entertain in. To keep the room feeling big and bright I want to keep the neutral tones and add to the brass and gold accessories we already have within the room. I love the thought of having a big statement chair in the corner with a fur lining and cushions. Somewhere I could curl up in and watch Real House Wives Of Cheshire with a large glass of pinot. Candles can add a romantic, relaxed atmosphere to any room and with such a wide selection from Cox & Cox you certainly won’t be disappointed. I am a very keen amateur photographer so photos are a big part of all the walls within our house. I really love the brass frames for their simplicity and effect that could be dotted around the room. 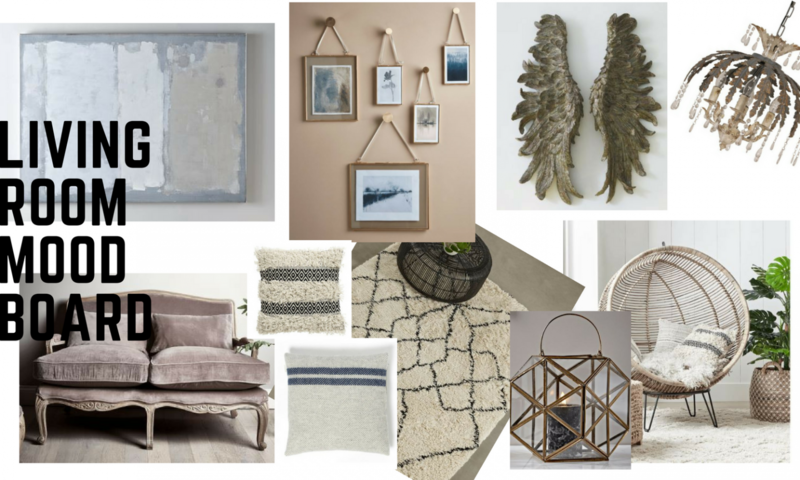 So here is my mood board for what I would like to feature in my new Living Room. I may have to wait until next year and the sticky finger stage to be over but I can enjoy planning and design while I wait.